HIMURA offers the professional and leisure user with a premium, reliable and powerful battery. 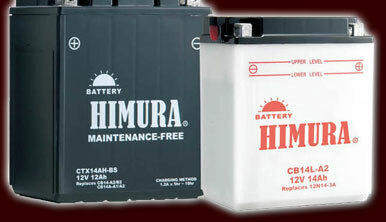 With a comprehensive range and constant technical developments you can be assured that when you purchase a HIMURA battery you are getting the very best for your vehicle/application. Copyright © 2011 Himura Powersports, all rights reserved.